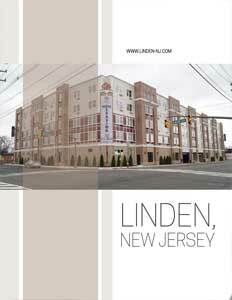 Business View Magazine profiles Linden New Jersey, a city of 45,000, in Union County, about 20 miles southwest of Manhattan. Linden is a city in southeastern Union County, New Jersey with a population of about 45,500. It is part of the New York Metropolitan Area, located about 20 miles southwest of Manhattan. 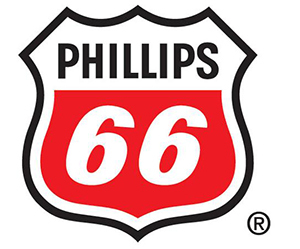 Linden is home to the Bayway Refinery, a Phillips 66 facility that helps supply petroleum-based products to the New York/New Jersey area. From 1937 to 2005, the city was also home to Linden Assembly, a General Motors manufacturing plant that produced GM automobiles, as well as planes during World War II. Today, the site is owned by Duke Realty, which has built several large warehouses on the 140-acre property, one of which is getting ready to be occupied by the Blue Apron Company, a food and beverage company that is planning to hire up to 3,000 people. Several other, ongoing or planned redevelopment projects in Linden are part of the Transit Village Initiative, a project developed by the New Jersey Department of Transportation and NJ Transit that creates incentives for municipalities to redevelop or revitalize areas around transit stations into attractive, vibrant, pedestrian-friendly neighborhoods where people can live, shop, work, and play without relying on automobiles. Another Transit Village site is the Capodagli Properties. 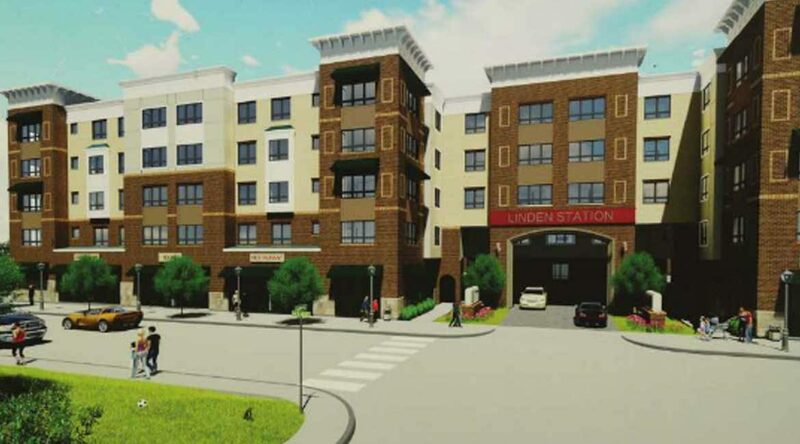 “George Capodagli has built one 176-unit building, which is already 75 percent occupied, and he’s looking to break ground right across the street to build another 145-unit building,” says Armstead. All of these sites are close to the Northeast Corridor and Jersey Coast Lines Amtrak station, which makes them ideal locations for people who wish to commute to New York or Newark for work. Regarding its other infrastructure needs, Armstead reports that Linden has always been very consistent with its capital budget allocations for streets and sewers. 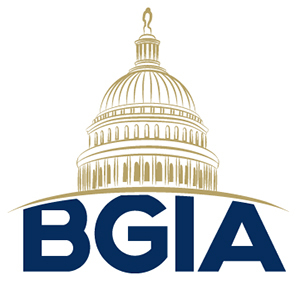 “We capitalize our budget, every year, to keep our infrastructure up to date,” he declares. “In 2014, we did $1.2 million in streets; in 2015, we did $2.3 million in streets; and in 2016, we did $2.7 million in streets. With our sewers, we did $330,000 in 2014; $390,000 in 2015; and over $550,000 in 2016. Vircik adds that over the last few years, the city has also gotten 21 miles of new gas mains put in by the Elizabethtown Gas Company, the private firm that supplies natural gas to residents and businesses. Check out this handpicked feature on Millville, New Jersey – Opportunities to grow. The Foley name initially was known as a leader in the early years of automobile dealerships in Newark, but an intriguing business opportunity presented to Edward Foley, Jr. in 1957 to become a Cat tractor dealer, changed the direction of Foley’s future. After ten years of solid growth, Foley Machinery moved to Piscataway, NJ in January 1967 to a larger facility. This remains Foley’s headquarters today where all four divisions operate. The company has spanned three generations of the Foley Family. Today, Jamie Foley is CEO, Ryan Foley is President, and Kim Foley is Chairman of the Board of Foley, Inc. The company’s vision is to “Create customer experiences that create customers for life.” It believes in and strives to achieve its vision by adhering to the company values of trust, communication, relationships, mutual respect, and astonishment, every day. 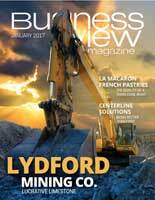 There are four divisions that provide a diversified line of products, rentals and services to support its wide range of customer needs. The Machinery Division offers the full line of Cat Construction Products, consisting of over 300 machines. Foley Rents offers short term rentals, long term rentals and rent-to-own agreements. Power Systems provides emergency and prime power generator sets, power generation rentals, temperature control rentals, compressed air rentals, marine engines, and industrial engines. The On Highway Division’s capabilities includes services from basic oil changes to major overhauls, and its factory-trained technicians provide expert and reliable service whether it is for Cat or non-Cat truck engines. Foley offers product support capabilities for every division which includes all service and parts availability for all product types. The company’s territory includes the northern half of New Jersey, Staten Island, and Bermuda. In addition to the Piscataway location, there are 10 parts-drops throughout New Jersey including Monroe Township, Wall, Clifton, Pompton Lakes, Flanders, Glen Gardner, Fairview, Flemington, Neptune, and on Staten Island.